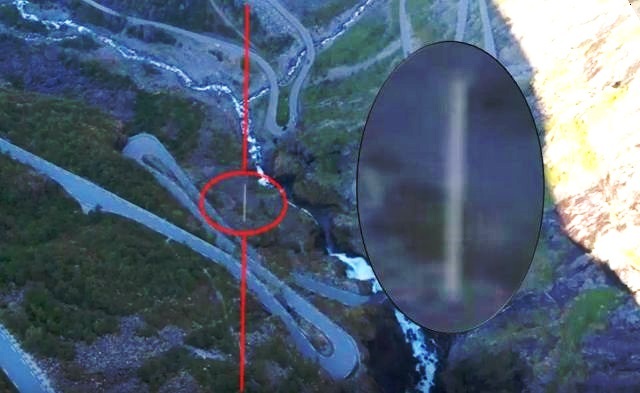 On July 1, 2018 a drone accidentally recorded a UFO or more likely a fastwalker moving at an incredible speed over Trollstigen, Norway. “Fastwalker” is a term used by NORAD and branches of armed forces to describe unidentified aerial phenomena moving and/or changing directions at high speed far beyond what current aerospace technology is capable of. Usually these objects are observed in space and it is assumed that these objects only move in space but it is quite possible that fastwalkers also move in our atmosphere. The Norway footage shows the possible fastwalker, which has the same resemblance to a fastwalker in space and it also moves at such an incredible speed that is not perceptible to the naked eye, in normal speed and in extra slow motion speed. There appears to be something else at 58 seconds too.